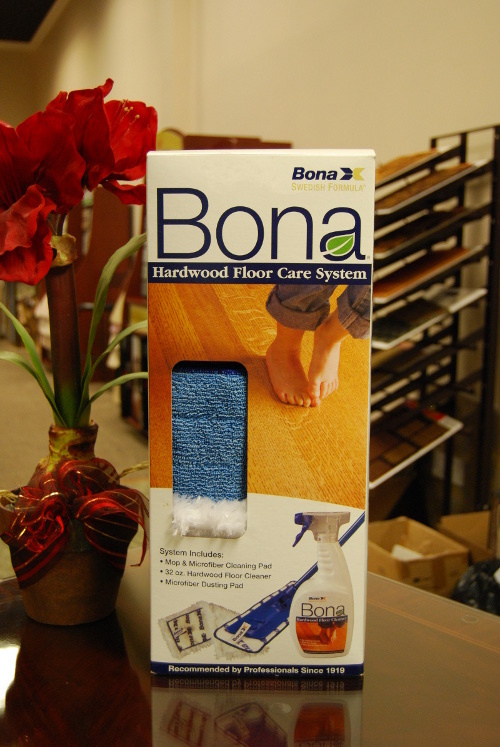 Free Bona Hardwood Floor Care System Giveaway! Bona Hardwood Floor Care System is the Complete Kit everything you need to get started. The kit comes complete with the Swedish Hardwood floor cleaner solution, mop, replacement mop head and pole. Since 1919, Bona has been providing hardwood flooring professionals with the world’s finest finishing systems. Pioneering dust containment and waterborne finishes, we’ve maintained the industry gold standard for performance and environmental responsibility. From effective dust containment, to low-VOC waterborne finishes without toxic fumes, to environmentally friendly floor care products, Bona offers the cleanest and healthiest way to long-lasting, beautiful floors. 1. Vacuum Vacuum, dry mop or sweep to remove any loose dirt or grit. The best method of removing dirt and grit is vacuuming with a soft brush attachment on your vacuum. If using the Bona Microfiber mop to dry mop, remove any loose dirt or grit after dry-mopping by rinsing with water and wringing out the mop pad prior to cleaning floor with Bona Hardwood Floor Cleaner. 2. Spray Lightly mist a 4′ x 6′ area of your floor or directly mist the cleaning pad with Bona Hardwood Floor Cleaner.3. Clean Using a slightly dampened, well wrung-out Bona Microfiber cleaning pad, thoroughly clean the floor surface using your Bona Microfiber mop. Finish one area before moving on to the next. When your mop pad becomes soiled, rinse with water, thoroughly wring out the pad and continue cleaning with Bona Hardwood Floor Cleaner. When the mop pad becomes excessively soiled, launder and replace with another clean mop pad. Continued use of excessively soiled pads may cause streaking. Your Bona Microfiber cleaning pads are reusable and washable. Do not use any fabric softeners, dryer sheets or bleach on your Microfiber cleaning pad as these products will diminish the natural cleaning characteristics of the microfiber. Click Here to Enter Our Facebook Giveaway for This Amazing Product!